Nope, no fish ins....I have no clue if there is a "chapter" in this state or not and if there is...I have no idea what they do or where they go. I will probably never own a "Bivvy" or a "Brolly" or a bed chair. - never say never................I started using an unhooking mat last year. Been carping since @ 1980! Which part of Yorkshire? All of my family hail from there.......so I need to establish if I'm allowed to talk with you. There is some good carp fishing in NJ and quite a few CAG Members live there. I have been buying Nash "the Key" boilies and got a bunch of betain pellets in 2 and 4 mil and some 20 mil that I band on the hook with a rubber band....got a bag of halibut pellets but to be honest...have not caught a thing on them. I got some CC Moore feeding stimulant and hemp oil and have been using the corn 'deer" attractant I learned about on this site to "glug" my boiled field corn feed. You guys have made me an addict.....it's all your fault! 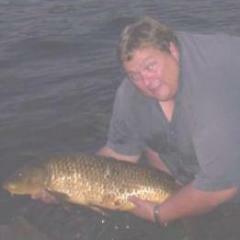 Hey, blame the carp themselves - once an angler has hooked and landed a few, it's game over !!! look forwards to seeing a few of your catch photo's soon ! Hi, I'm Mike, I'm in the NW burbs of Chicago. 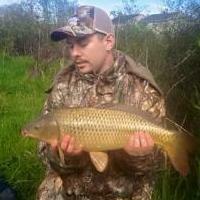 I'm not new to fishing, but I'm new to carp fishing. I was watching the YouTube channel Catfish and Carp, and got the bug. I spent 30 bucks on gear to make a Hair rig and feeder system. I made some boilies and soaked my new gear for total of 6 hours, and that is where I'm at. I don't know if I should "bark up this carp fishing tree". I was searching the net for info and found you guys, but am not ready to drop any coin on a membership. Hi, Mike! If you look at the home page of CAG, you will find places where people meet and fish. There are specific events ad Carping Locally. You can contact carp anglers in your area by PM and get a response. I recall some in the Chicago area and Joliet. Good luck with your newfound hobby...from which there is no escape. A chance to win valuable tackle prizes, trophies, medals and certificates. Your membership supports CAG’s mission to protect trophy carp by educating anglers on the excitement of catching carp, better carp care and the benefits of catch & release. A special printed edition of the NACA. As a national non-profit organization CAG has been instrumental in creating respect and awareness for carp fishing among several State fishery bodies. An opportunity to share your passion with other anglers and newcomers at local fish-ins & other events. As a non-profit organization run entirely by volunteers your membership fees are used only to support and promote the CAG mission. We should have a voice & joining the CAG is one way to support this aim. Id recommend if you can afford it ...join up. I'll be doing so soon.